Related to this year’s workshop and in continuation of a long-standing tradition of the EnFI series it is planned to publish a regular special issue (no conference proceedings) with selected contributions on engineering of functional interfaces, as a reference to latest developments in the field, in pss (a) – applications and materials science. In collaboration between the Guest Editors and the pss Editorial Office we cordially invite you to contribute a Feature Article (topical review) or Original Paper manuscript based on your presentation. Further Contributed Articles may appear in pss (c) – current topics in solid state physics. The physica status solidi journals are designed to reach a broad audience in the field of condensed matter and materials physics. pss is one of the largest and well-established publication platforms in solid state physics with more than 1500 articles per year – now over 50 years in business – and is widely accessible as part of many institutional site licenses, evidenced by close to one million article downloads annually. All submitted manuscripts will undergo peer review. According to the editorial policy of pss, two positive recommendations by independent referees are a prerequisite of acceptance. Peer review and publication occur rapidly on individual manuscript basis. Published in Wiley Online Library Early View few weeks after acceptance, your article is citable immediately; hence there is no waiting for the remainder of the contributions. When all articles are complete, the topical section will be assembled in a regular monthly issue of pss (a). The clustering of related articles raises the visibility of these articles significantly, and once again we are confident that this will become a quality publication reflected by high article access and citation numbers. Please refer to the author instructions available on our homepage www.pss-a.com → Author Guidelines (includ-ing optional Word template and LaTeX style files and the link to online submission through Editorial Manager - please mention that this is a submission to the EnFI-2015 special issue in your cover letter and select the appropriate section/category Engineering of Functional Interfaces to expedite handling). Feature Articles should provide an overview of a current topic in the format of a topical review of about 10–12 (max. 15) journal pages. Due to this length restriction, a complete bibliographic overview on the existing literature cannot be expected, but referencing should be well-balanced. The manuscript should represent a snapshot of most recent progress, the state of research and particularly relevant aspects, with focus on the highlights and possibly open or controversially discussed questions. They are intended to inform an audience not immediately familiar with the specific topic. Original, previously unpublished results may also be included to a certain extent. Feature Articles are considered with priority for cover picture publication. The importance, relevance, and novelty of the results match those expected for a regular journal paper. The general quality of the manuscript and the amount of information provided is appropriate for an in-ternational journal. Serial or incremental, pure self-referential and lab-report-style work is discouraged. pss (a) is focused on topics related to materials science, solid state physics and applications (including solid materials preparation and characterization, electronic devices etc.). 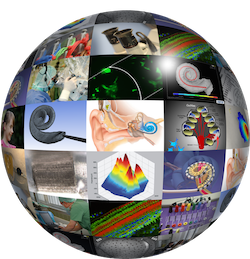 While we welcome interdisciplinary approaches (e.g., biosensing, inter-faces of biosystems with solid surfaces) please make sure that your contribution is sufficiently related to these aspects and within the journal’s scope. Pure engineering (in the sense of non-scientific or technological work), biological or medical topics cannot be considered for inclusion in the issue and should better be submitted to a more appropriate different journal. No page charges or publication costs for authors. Free online colour. Supporting information, e.g. additional data, figures, videos or animations can be published online. Open Access option in Wiley OnlineOpen compliant with funder mandates (wileyonlinelibrary.com/onlineopen). The PDF file of the article will be provided as electronic reprint free of charge. Color print (at reduced rates for Feature Articles), journal issues, reprints with cover page, posters etc. are available for purchase. pss is indexed in ISI Web of Science and all other major abstracting databases. Promotion of selected content via web portals, e.g. materialsviews.com, newsletters, and press releases.